I love going to fabric stores. It is like an overload on the senses – looking, touching and imagining. As I walk amongst the bolts of fabric, admiring the many beautiful fabrics, running my hands along them to feel them, my mind starts racing trying to envision where I could use them all. So many gorgeous fabrics – not enough projects! 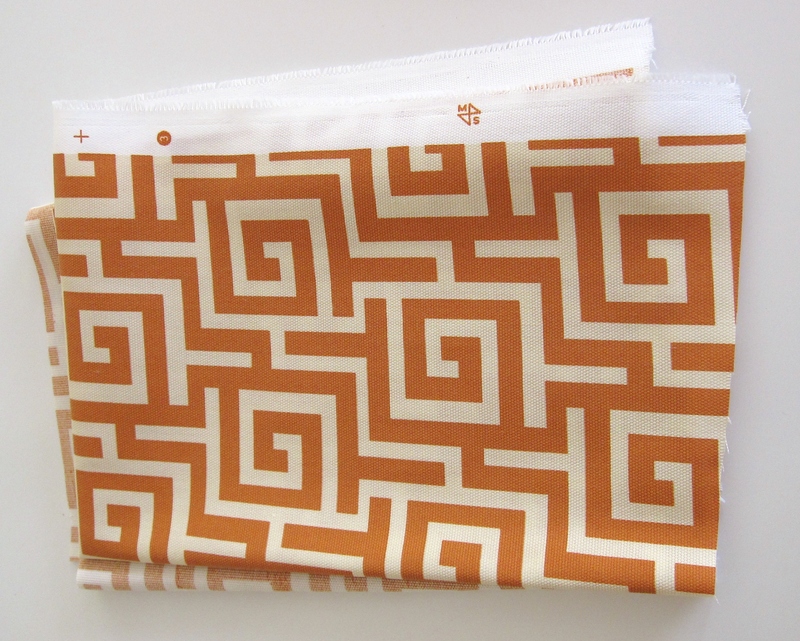 On a recent fabric store adventure I came across this fabulous orange/white fabric that I fell in love with – I bought 2 yards. I decided to use the fabric for seat cushions on the chairs in my enclosed front porch. My sewing skills gained from grade 7/8 Home Ec. are fairly rudimentary but I can sew cushion covers. My front porch spring/summer cushions were looking faded and boring so the new orange/white gives the needed punch. The patterned pillows which coordinated perfectly came from HomeSense thanks to a good friend who found them for me! 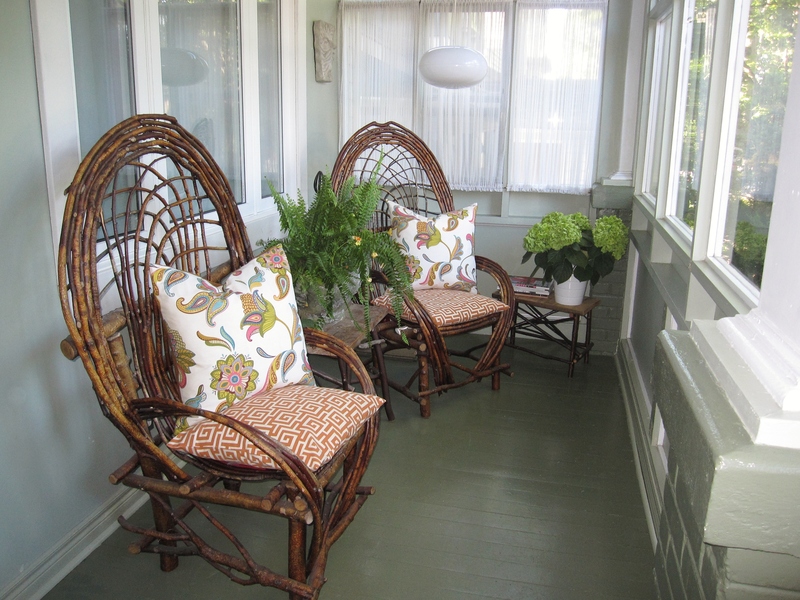 The twig furniture (hubby and I made many years ago), lots of potted flowers, good lighting to read with and candles in the evening makes this porch my summer oasis.